Florence County is home to the Southeastern Institute of Manufacturing and Technology (SiMT), which is the first facility of its kind in the United States. SiMT is an 189,000 square foot advanced manufacturing center that provides the support needed by area industry and future industry, advancing the region’s ability to provide a highly trained workforce. SiMT is located on the campus of Florence Darlington Technical College. SiMT exists to partner with businesses and industry to provide training and manufacturing technology solutions. 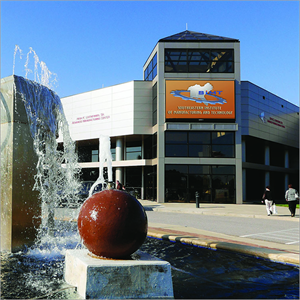 The facility contains an Advanced Manufacturing Center, 3-D/Virtual Reality Center, National Robotics Center, and offers open-enrollment, on-site, and customized training. SiMT also offers manufacturing startup assistance and consulting services.